Once you have chosen a news reader, all you have to do is to decide what content you want it to receive. For example, if you would like the latest Practical SCADA Security Blog articles, simply visit the Practical SCADA Security blog section and you will notice an orange button RSS button on your browser. Most sites that offer feeds use a similar orange button, but some may just have a normal web link. 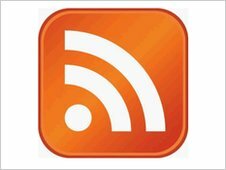 Most modern browsers, including Firefox, Opera, Internet Explorer and Safari, automatically check for feeds for you when you visit a website, and display the orange RSS icon when they find one. This can make subscribing to feeds much easier. Tofino Security provides news, press release, white paper, article and other updates for Tofino products and Tofino Security. We encourage the use of Tofino Security News feeds as part of a website, however, we do require that the proper format and attribution is used when Tofino Security News content appears. The attribution text should read "Tofino Security News" or "tofinosecurity.com/news" as appropriate. You may not use any Tofino Security logo or other Tofino Security trademark. We reserve the right to prevent the distribution of Tofino Security News content and the Tofino Security does not accept any liability for its feeds. Please see the Terms and Conditions for full details.